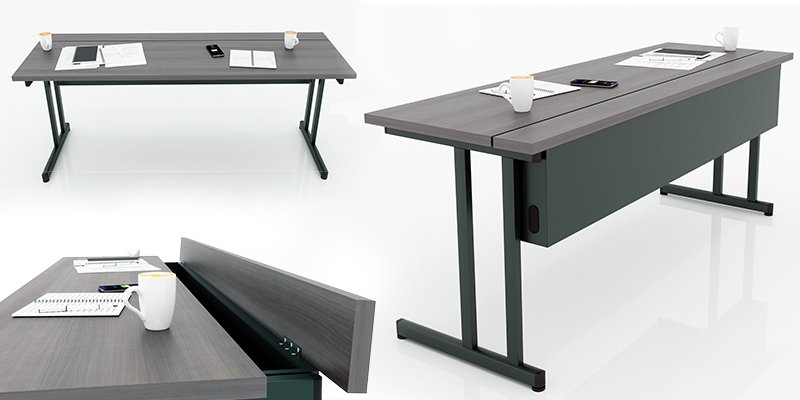 Neo can be defined as having equal parts of style, comfort and value – ideally designed for task, conference and collaborative spaces. Its simple clean design and options make it naturally versatile and effortless to design around. At a glance, it’s easy to see the classic sophisticated design lines and shapes of Lilly. Lilly is a well-crafted beauty with a warm embrace which allows her to enter any work or public space with grace. Lilly’s variety of leg styles include wood legs, 4 or W-shape metal legs and an aluminum swivel base. The Hover gas monitor arm incorporates a gas counterbalance spring to provide a greater support adjustment range, allowing heavier monitors to be supported on the arms, yet still being easy to move and adjust, coupled with superior esthetics and clean elegant lines, it is truly in a class of its own. Are you ready to step up to a more productive work day? The Hover Helium Surface is a desktop converter, also referred to a desktop sit to stand, that is ready to go straight out of the box. There are no tools needed because there is no assembly.